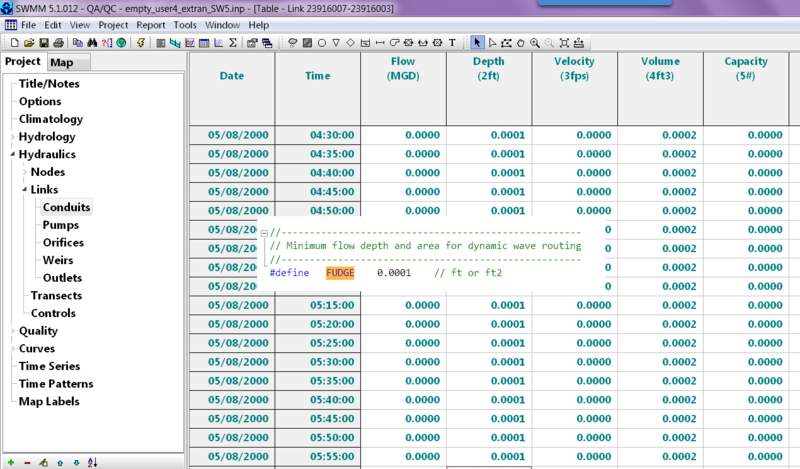 What it is the minimum depth in a link of SWMM5 ? EPA SWMM5 uses internal units of feet or inches for rainfall. The minimum depth is FUDGE in the Code and has the value of 0.001 feet or ft^2. You can see the effect in the output file if you look at the depth, volume or area values. Tagged as: What is the minimum depth in a link of #SWMM5 ?